From Big Fry to the small time, George Lazenby in On Her Majesty’s Secret Service. Lazenby shortly after winning the role. In 1967 Sean Connery famously quit the role of superspy James Bond with the words “never again” leaving the producers with the seemingly impossible task of finding another actor to slip into the tuxedo. Connery had put his stamp on the character, and was Bond to most of the world. So how were they to find an actor to replace him for their upcoming Bond film, On Her Majesty’s Secret Service? Initially, Albert “Cubby” Broccoli approached future Bond actor Timothy Dalton, but he turned down the role, considering himself too young for the part at that time. He also approached Jeremy Brett, who would go on to make Sherlock Holmes his own. However, after finding their first choices reluctant, the producers set about screen testing relative unknowns for the role, putting out a general casting call for “Bond types”. 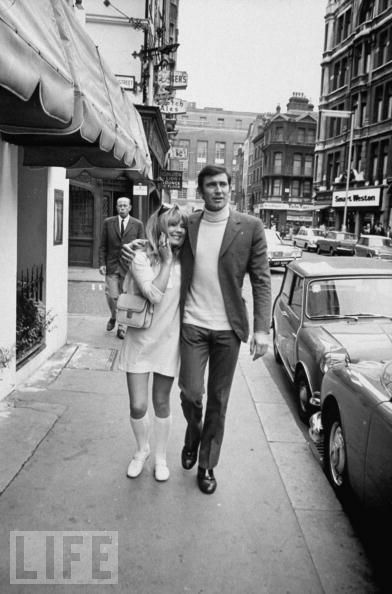 Enter Australian model George Lazenby. Lazenby had no formal acting training, and his claim to fame up until that point had been starring in a commercial for Big Fry’s chocolate. However, he had much of what was required for the role: He had a cocky self assurance; a physicality honed by his military experience, martial arts expertise and his expert skiing ability; a strong sense of machismo, and rugged good looks. His getting the role has many stories attached to it. One story tells of how George Lazenby went to Connery’s tailor on Saville Row and purchased one of Connery’s suits that the star had ordered but neglected to pick up. Wearing this suit he made an appointment to have his hair cut in the style of Connery at the same barber as Broccoli, making sure that their appointments coincided. Another story goes that he snuck into Cubby Broccoli’s office during the time they were casting. When Cubby asked him to sit he ignored the request and remained standing, which impressed the producer. Instead he looked Broccoli in the eye and point blank stated that they had found their man. It is also suggested that he won the role at a screen test, where he managed to break the nose of a stunt man in a fight scene. This so impressed Peter Hunt, the film’s director that he decided to cast him on this feat alone. Whatever the reason, it was Lazenby that won the coveted role, and he prepared to step into a part that for many was Connery’s alone. It was a huge gamble, but it would not be the only one that On Her Majesty’s Secret Service took. Broccoli had decided to give the directing duties to Peter Hunt, a long time Bond editor and second unit director, but this would be his first time at the helm – a huge risk considering what was at stake. The film makers also decided to break away from their winning formula of gadgets, tongue in cheek humour and exotic spectacle, to deliver a paired down script that was closer to the source material and focused on character. They also consciously decided to make it a proper thriller with a darker, more serious tone. The film was to focus on Bond’s relationship with the wayward Tracy Di Vicenzo, played by veteran stage actor Diana Rigg, already well known for her role as Emma Peel in The Avengers, and it would chart their deepening love – something that had not been attempted with Bond before. This was all a far cry from what the audience was expecting. They wanted Connery, the thrills of Goldfinger and Thunderball, the largess of You Only Live Twice. Were they really ready to see Bond, the eternal bachelor, fall in love and have his heart broken? Were they ready for their exotic hollowed out volcanoes to be replaced by snow? The filming was fraught with difficulties, not least of which were the interpersonal relationships between the actors and the crew. Indeed, it would seem that George Lazenby, full of youthful bravado, allowed the role to go to his head. It is said that he was arrogant and aloof, which caused him to fall out of favour with Diana Rigg, and also the film’s director Peter Hunt. It was also reported that he chased down actor Bernard Lee on horseback, forcing him into a bed of roses. This, whilst in jest, forever put Lazenby in his bad books and further spoiled his reputation amongst the “family” of cast and crew. Eventually the tension on the set grew almost insurmountable. Peter Hunt has said that he wanted the actor to feel isolated, and that he deliberately encouraged the cast and crew to distance themselves from Lazenby to affect a better performance. Whether or not this is true, it seems that they had no difficulty in doing so. It is hard not to imagine Lazenby being arrogant. After all, it was his bravado that had landed him the role, and for an unknown 29 year old walking in to the biggest role on offer at the time, it isn’t a stretch to imagine it all going to his head. Many consider Lazenby’s performance as weak, but I think this is only because they are trying to compare him to Connery. 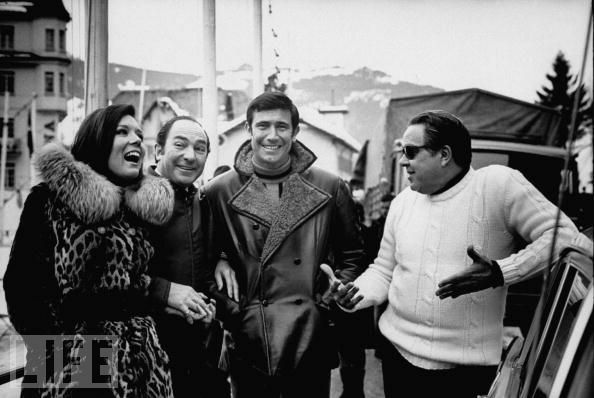 Connery was full of easy charm, and brought a sense of devil may care throwaway fun to his films, however that would have been entirely inappropriate for OHMSS. Lazenby’s performance is actually quite subtle and measured. Certainly there are moments of cocky bravado, but these are offset by his ability to show us another side to Bond. There is a scene where Bond is being hunted down by Blofeld’s henchmen, and Bond is literally too exhausted to flee. As they close in on Bond, we see his vulnerability. With Lazenby, we see Bond actually scared. Lazenby was fortunate enough to be able to play off other great actors too, and I believe that this enhanced his performance. His scenes with Rigg are really rather touching, full of what seems to be genuine warmth and affection. With Telly Savalas, who plays Blofeld with a kind of theatrically camp aloofness and cold detachment, he is able to spark off against him with subtle sarcasm, as he literally inhabits the role of Sir Hillary Bray. In no other Bond film does oo7 rely so heavily on an alias, or so convincingly change his character to adopt it. Here Lazenby is essentially playing two distinct and opposing characters, which he appears to do with ease. 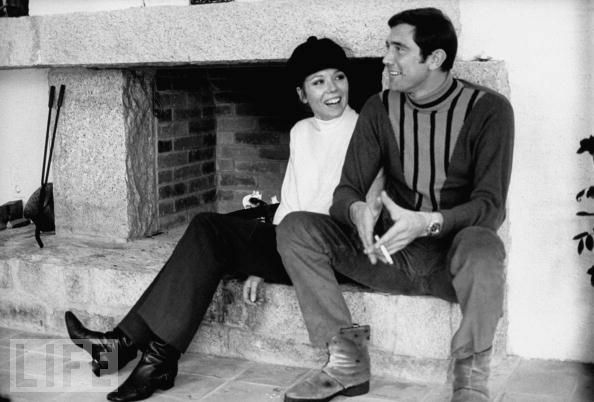 Also, Lazenby was asked to perform the most emotional scene in a Bond film to that date, and for sometime to come: To show his reaction to the death of his wife. This is a huge scene for any actor in any role, let alone a first timer with the eyes of the world upon him. However, he handles it admirably. He shows us a man who is undefeated by all things suffering his first loss. His Bond is in shock, almost refusing to accept what has happened, a reaction very much in keeping with the character. It is worth remembering as well that this really wasn’t the Bond the public wanted to see. Indeed, Lazenby did one take where he openly wept, but Hunt discarded it, saying to Lazenby “James Bond doesn’t cry.” However, Lazenby makes this scene work, and with this shocking moment ending the film so abruptly, and the discordant strains of the James Bond Theme blaring over the top of it, it is hard not to feel a little shaken, or indeed stirred by it. Despite this, much criticism was levelled at the film, its darker tone and notably downbeat ending, but it was Lazenby that bore the brunt of this. The film’s success literally rested on his shoulders, and whether or not it was due to his performance or the tonal shift in the film itself didn’t matter. Yes, he had landed the role that might make him a superstar, but he had also taken on a mighty responsibility along with it. However, the film was not a failure, at least not financially. It didn’t live up to the takings of previous Bond outings, but it certainly didn’t under perform. OHMSS has also gone on to be considered by many Bond aficionados as the best in the series. 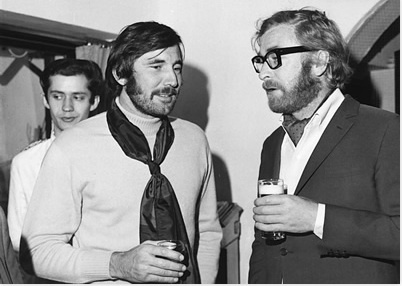 Lazenby with Michael Caine in the 70s. There is much that is tragic about OHMSS. 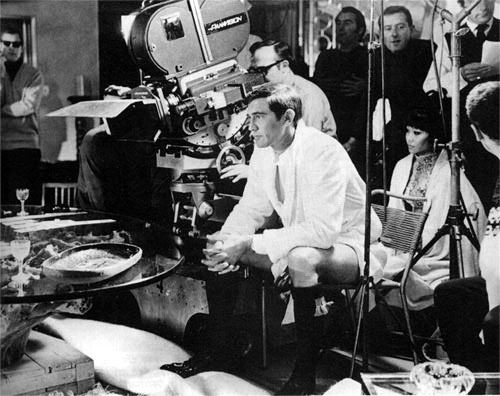 It is tragic that Lazenby’s agent, who assured him that Bond’s time was done, persuaded him out of signing the seven-picture deal he had been offered by EoN, and that we never got to see what he could have done with the role. It is tragic that so many didn’t appreciate Lazenby’s performance, and that critics still regard him as somewhat of a joke. Perhaps then Lazenby could have proven himself as an actor, rather than slipping away quietly into the obscurity of the Hollywood Hills, emerging only for signing sessions and the occasional talking head in some Bond documentary. Connery may have had the hits, and tuck away six successful Bond films, but he never came close to giving us a performance of such depth, nor did he have a film with such emotional impact. This never happened to the other fella? Indeed it did not. Thanks to Life for the photos. ← Boyd’s Zone – How architect Robin Boyd influenced Australia. Well written, dublo! I had always heard that third version of Lazenby breaking the stuntman’s nose, but never the other two. Interesting stuff! Thanks very much, Lala. I’m glad you enjoyed it. There are many stories about the filming of OHMSS that I simply couldn’t include them all, but I hope that I gave an interesting insight to this marvelous movie. Excellent article, loved reading this. I have been completely obsessed with this Bond film lately, and it truly pains me that Lazenby didn’t play Bond for at least one more film. Glad you liked the review, Silent. OHMSS is quite possibly my favourite Bond film, but one of the reasons it occupies this lofty position is simply that it is so different, so unique. Had it not followed the successes and bombast of Sean’s outings, would it have seemed as touching and tender? Does not its gritty “back to basics” approach necessitate it following a more over the top run of films for it to work? And if Lazenby had gone on to do more, perhaps less taught scripts such as Diamonds Are Forever, would some of OHMSS’ magic not be tarnished somewhat? I love this film too and so wish Lazenby had done more. He was so good. Tough when needed – no one has done the fight scenes so convincingly. Tender when needed. The pressure was there to get Connery back at all costs, and this was probably going on with Lazenby’s knowledge all through OHMSS. Adding to this purposely leaving him on his own would have made him feel unwanted, not just edgy to do his scene. The story behind Lazenby’s outing as Bond has always been an interesting one, and it is a shame that so few people think of him simply as a one hit wonder – a Bond that was a mistake. Delve a little deeper, and it’s clear there’s far more to it. Anyway, I hope you continue to look in on this blog and offer your comments. I have been a bond fan for 20 years, initially my favourite has always been The living daylights as I think Dalton gives an excellent performance but I think most people do not see this. However in recent years I have liked OHMSS more, just watched it this evening which prompted this search! Its the combination of comedy, action, tenderness, he pulls off the Hillary Brey role very well. My favourite scene is the escape scene, as you put it, we see Bond very scared almost lost as to what to do. Good to see people out there appreciate the film. You are certainly not alone in being a fan of Lazenby and Dalton. I would suggest that there are quite a number of Bond purists who prefer Lazenby and Dalton’s portrayal. I hope you enjoyed the article and the rest of the site. I intend to do a few more Bond related articles, so feel free to subscribe. I’d also recommend visiting mi6forums.co.uk for more Bond related chatter. A great in depth, no bias, examination of Lazenby and OHMSS. It’s my favorite Bond movie. I was lucky to have seen it in the theaters. The crowds I saw it with were 100% into the movie, cheering and laughing at the right parts. Dublo, you brought up a point I never thought about; critics were looking for a Connery type performance that did not belong in this darker movie. And Lazenby took the blame for it. He was handsome, athletic, and romantic. Connery is the best, but if I had to be Bond, I’d be Lazenby. I was fortunate to meet him at SpyFest on the Queen Mary and told him so. I hope many people read this article. Anyway, thanks for the feedback, Paul. I’m really glad you enjoyed the article. Check out the article on the DB5, too. I think you’ll like it. There’ll be more Bond related articles in the future, so stay tuned. Thanks J Gee, I’m glad it’s found another convert. I’m a big fan, obviously. I think it gets better the more you watch it. Well written with a new and positive view than most writers have about this movie, my favorite of the bunch. 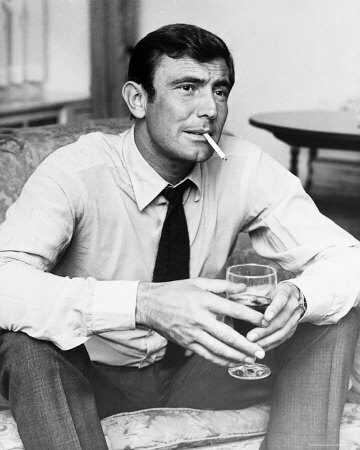 If I could be Bond, I’d be Lazenby.